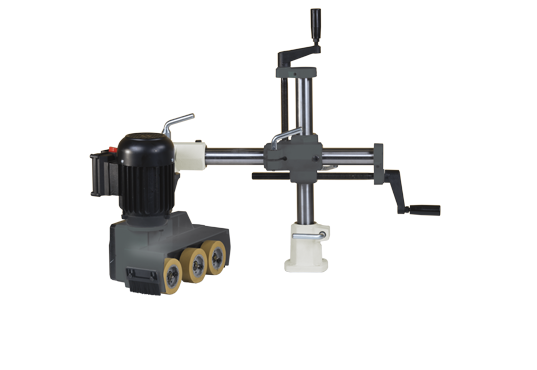 Standard tasks on the shaper or the sanding machine are ­performed exactly and safely when using a power feeder. This is guaranteed by the constant feed speed and the exact guidance of the workpiece along the fences and machine table. Areas of operation: Standard tasks on the shaper or on the edge sander, with the jointer, edger and parallel cuts. Advantages: Exact and clean work, constant feed rate, consistent and precise results.